is now available! Read on to find out about Street View and programmatic control of indoor maps available in the Google Play Services 4.4 release. Street View is here! Let your users navigate through Street View's panoramic 360-degree views themselves, or programmatically control the zoom and orientation of the Street View camera. You can enable and disable Street View controls and gestures, as well as toggle the display of street names on or off. 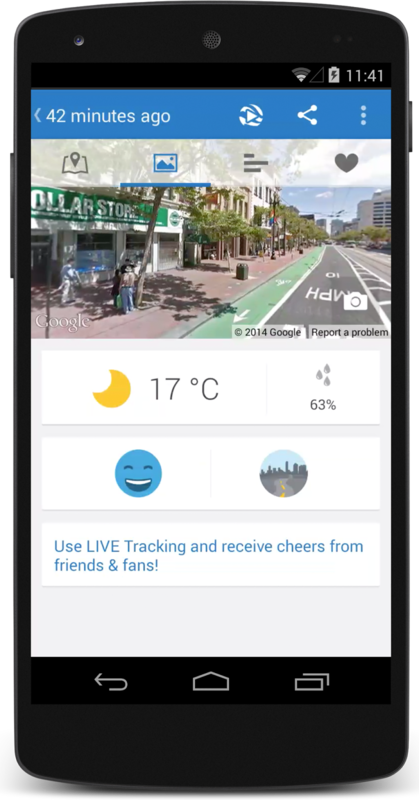 The Street View coverage available through the Google Maps Android API v2 is the same as that for the Google Maps for Android app on your Android device. Take a look at these two apps using Street View to help users get even more out of their experience. Runtastic Running & Fitness, which helps people map and track their fitness activities, now features Street View. When you review a completed activity, Street View panoramas of places you’ve passed by are presented as a slideshow. You can even go full screen to explore the surroundings of your route in greater detail. Do you have a store locator in your app, but wish that users could tell whether your store is in a strip mall or on the street? Now you can! You can even bring users into your store using Business View. The same StreetViewPanorama object provides seamless access to both indoor Business View and outdoor Street View imagery. 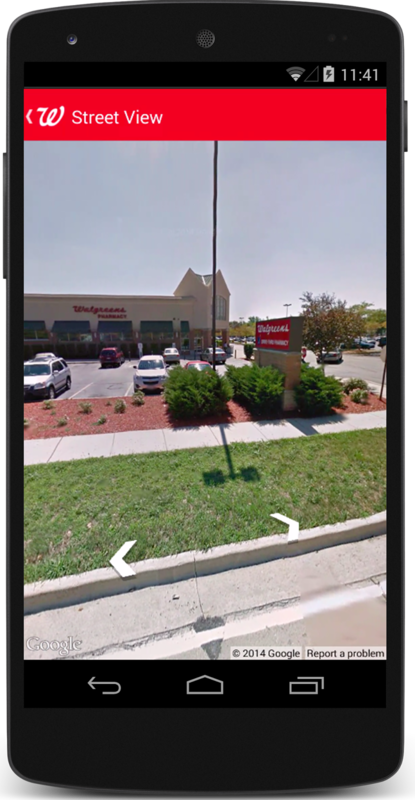 The Walgreens App has integrated Google Street View with its Store Locator feature, making it easier than ever for Walgreens customers to get in, get out and get on with their day. With the updated Store Locator feature, customers can easily find a Walgreens, access store details and view the store location up close. In this release, we’ve added programmatic control to Indoor Maps. You can disable the default level picker (floor picker) by calling setIndoorLevelPickerEnabled(false) and add your own custom level picker instead. You can also determine which building and level is currently in focus and set a listener to be called when a new building comes into focus or a new level is activated within a building. This is particularly useful if you want to show custom markup for the active level. We’re always interested to hear how you’re using Google Maps APIs, so let us know if you’ve got something cool to show by tagging +Google Maps API on your posts (or comment right here). For technical questions that aren’t answered in the developer documentation, check out the Google Maps developer community on Stack Overflow. Don’t forget to tell us what you’d like to see in the next release using the Google Maps API issue tracker. 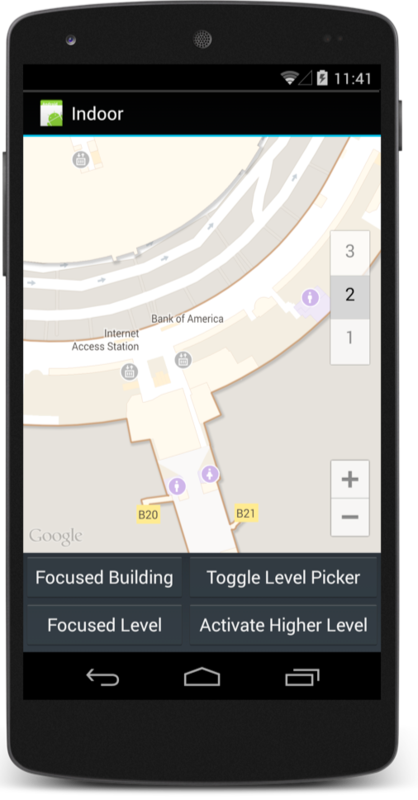 The new release of the Google Maps Android API v2 is now available! Read on to find out about Street View and programmatic control of indoor maps available in the Google Play Services 4.4 release.